In this March update, our precious metals reporter discusses how the metals fared for the month, the PDAC conference in Toronto and more. In this March update, our precious metals reporter Nicole discusses how the metals traded throughout the month, the impact that the Fed pausing interest rate hikes had on gold, the Prospectors & Developers Association of Canada (PDAC) conference and palladium’s record-breaking surge. March was another steady month for most of the precious metals. While gold slipped from the psychological level of US$1,300 per ounce a few times during the first half of the month, the yellow metal rebounded and maintained that level after the Federal Reserve paused interest rate hikes for 2019 on March 20. Toward the end of March, the yellow metal was trading at around US$1,320. 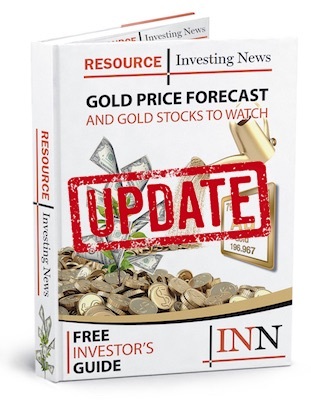 Gold continued to be supported by its safe haven nature, as investors once again turned to the precious metal during another month filled with geopolitical turbulence and growing fears surrounding a global economic growth slowdown. In gold company news, Barrick Gold (TSX:ABX,NYSE:GOLD) dropped its hostile takeover bid for Newmont Mining (NYSE:NEM) in lieu of a joint venture agreement that will combine the miners’ Nevada assets. Additionally, Newmont continued to progress its acquisition of Canadian company Goldcorp (TSX:G,NYSE:GG). As for silver, March was another month where the metal remained relatively flat, but continued to stay above the US$15-per-ounce threshold — and many analysts believe that it is primed to begin an upward trend. In fact, at this year’s PDAC conference in Toronto, which ran from March 3 to 6, industry insiders such as Dr. Kal Kotecha, Brian Leni and Wheaton Precious Metals (TSX:WPM,NYSE:WPM) CEO Randy Smallwood all stated that they feel positive about the white metal for 2019 and beyond. Don’t forget to check out all of our PDAC coverage on our YouTube channel for interviews with other industry experts such as Rick Rule of Sprott (TSX:SII,OTC Pink:SPOXF), Adrian Day of Adrian Day Asset Management, CEO of Americas Silver (TSX:USA,NYSEAMERICAN:USAS) Darren Blasutti and Jim Gallagher, to name a few. Speaking of North American Palladium (TSX:PDL,OTC Pink:PALDF) CEO Jim Gallagher — palladium had another record-breaking month in March. The highest-trading precious metal set a record on March 19 when it traded over US$1,600 per ounce as high demand and a shortage of supply continued to elevate prices. Currently, prices are around US$1,550.